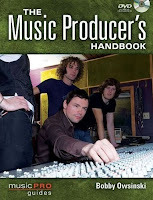 I've always been a great believer that before any serious recording begins, you should record a quick pre-production demo just to get a feel for what kind of shape the songs are in. 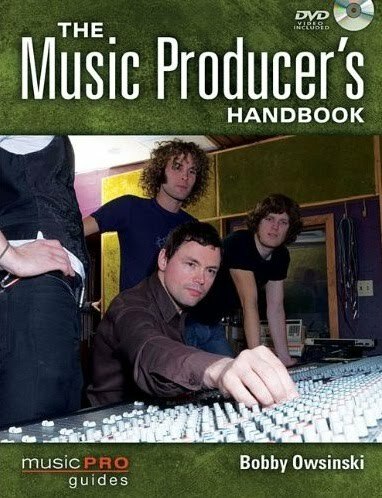 Here's an excerpt from Chapter 7 of my recently released Music Producer's Handbook that illustrates the point. Today we analyze Joe Elliott's isolated lead vocal on the Def Leopard classic "Rock of Ages ." This was off their huge 1981 hit, Pyromania . Here's what to listen for. 1) This vocal is really compressed. The attack is so short that there's almost no high end and you never hear a clear "s" or "t". 2) It's interesting how producer Mutt Lange doubles certain lines, and then uses the standard chorus double. 3) This is one of the few lead vocals that you'll hear on record that is dead dry. 4) You can also hear a number of punches. In one case there's even a slight click but most of the time it just feels slightly unnatural because of the breath. 5) Mutt is said to be a real stickler for in-tune vocals and he certainly is here, except for the doubles which are noticeable off in a few places. 7) Note the arppegiated synth with a sample and hold at the end. Ed Stasium and "Midnight Train To Georgia"
Watching Gladys Knight sing "Midnight Train To Georgia" the other night on the PBS Capitol Fourth special got me thinking about Ed Stasium, who's one of my all-time favorite mixers. Ed has done some great records with The Smithereens, the Ramones, Motorhead, Soul Asylum, Living Color and Mick Jagger among many others. Here's a part of an interview that we did for my Mixing Engineer's Handbook where Ed talks about mixing the Gladys Knight and The Pips hit. Have you noticed any changes over the years in the way things are done, or the way you do things? Ed Stasium: Yeah, especially with the onset of the computer. I do a lot more riding of things, especially the vocal, and doing little different effect changes. It makes life easier in a way, but then it makes life more complicated because you can do so much more. It depends again on what you’re doing. The Living Color records were very complicated. We had a lot of different effects on the verse, different effects on the vocal, that kind of great stuff. When I mixed Midnight Train To Georgia back when I first started, we did that on a little 16 input, 16 track in somebody’s basement in New Jersey. The drums were all on one track and you just made sure you got the vocals right. I remember the tracks were really packed on that song, so I just brought things in gradually. We started off with the piano, added the guitar, added the Hammond. But now, I’m riding every snare drum hit to make sure it cuts through, every little guitar nuance, little cymbal things, and the kick in certain places. I’ll be riding everything. “Midnight Train” sounds so clean. Ed Stasium: That was a great console; a Langevin. I don’t know whatever happened to it. I don’t know where it came from, but it was in Tony Camillo’s basement studio in New Jersey that we recorded that stuff on. The vocals were done in Detroit. I’m sure the drums were only on one track or two tracks at most. The Pips were double tracked. You know, Gladys is right up in the front. We didn’t use many effects on that because we didn’t have any effects. It was a little basement studio and all we had was a live chamber that was the size of a closet that was concrete with a speaker in there and a couple of microphones. That was the reverb on that record. 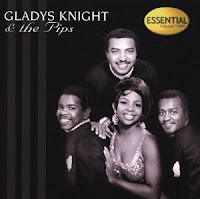 Here's a bit of Gladys and the Pips singing "Midnight Train" and it's a knockout. The Pips were a lot better than they ever got credit for, and Gladys smokes this TV track. Watching the PBS Capitol Fourth special last night was a real treat in many ways. I especially enjoyed the National Symphony Orchestra, the Marine Drum and Bugle Corp, and the US Army Ceremonial Band because they were living proof that good music transcends genre. The groove of these bands were just as wide and fat as the best Motown funk, and it was a real pleasure to listen to the extremely tight and in-tune string and horn sections. Anyone who's ever done a session with a weak horn or string section knows the pain involved, so hearing some fabulous players, directors and arrangements really makes you appreciate what you're listening to. If only the rest of the US government worked as well as their bands and orchestras. Here's an example of the excellent horns at about :35. 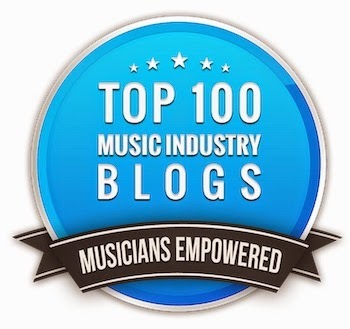 Check out my Big Picture blog for discussion on common music, engineering and production tips and tricks. 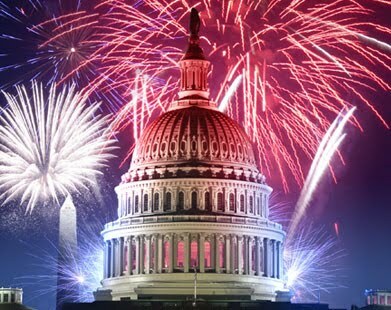 Happy holiday to all my American friends. This week we'll analyze more isolated vocal tracks and today we'll start with one of the all-time favorite songs, A Little Help From My Friends by The Beatles off their ground-breaking Sgt. Pepper's Lonely Hearts Club Band album. 1) Ringo's vocal track is generally pretty good for someone that's not a great singer, but it's ironic that the one place he's out of key is at the end of the first verse when he sings, "I will try not to sing out of key." He's a little flat on "key." 2) There's a significant amount of leakage in the track. I believe this was before the time they wore headphones for vocal overdubs so you're hearing the playback from the Lockwood speakers. I'll check with Ken Scott about this. 3) The Abbey Road reverb sounds great on both the lead and background vocals. I suspect that there's a separate chamber on each since the verb sounds different. 4) Great background vocals, as usually. Very tight during the song, although not so on the outro/lead-in to the song. 5) There's an interesting accidental word at 1:51 that appears to be on the background track that was left in.